In my ongoing exploration of the Birds of Europe I encountered a crane that resembles our sandhills. 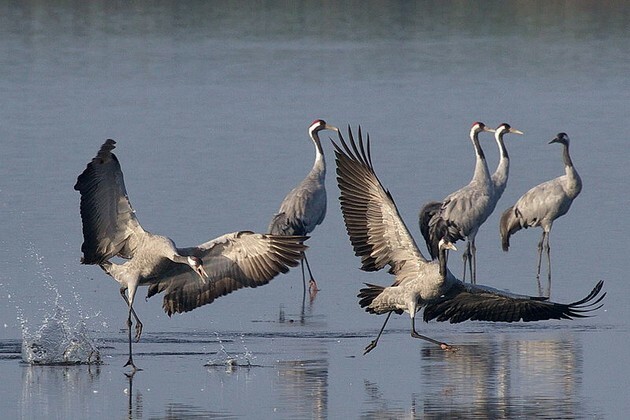 Eurasian or common cranes — often called just “cranes” — are native to Europe, Asia and Africa. Their scientific name Grus grus indicates they were the first crane named by Linnaeus. 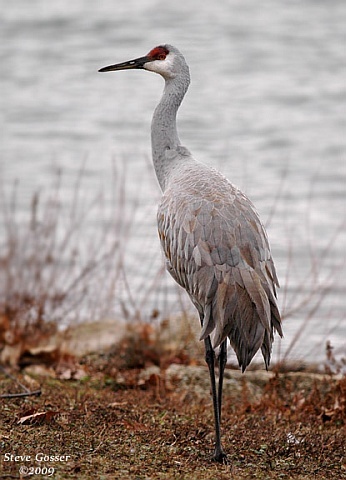 He would have seen them in summer in his homeland, Sweden, but couldn’t know about sandhill cranes (Grus canadensis) until Europeans sent him specimens from the Americas. 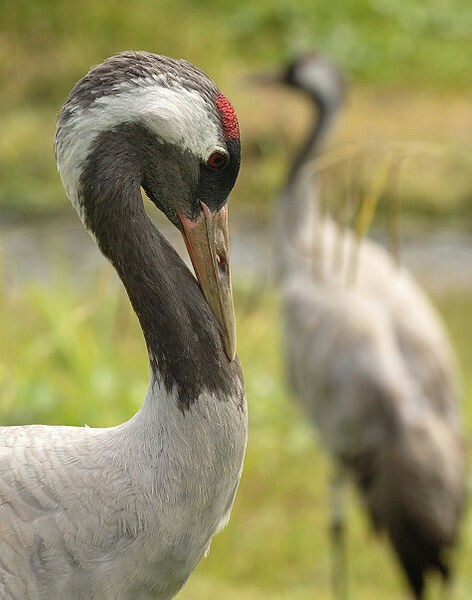 The Eurasian crane is taller than a sandhill with black and white on his neck and face. The closeups below provide a good comparison, first the Eurasian crane, then the sandhill. Do these two species ever meet? Maybe. Eurasian cranes breed across Europe to northern Russia and Asia, as shown below. 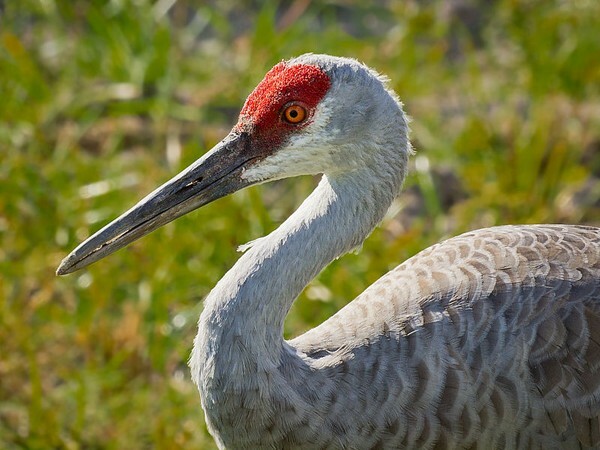 Sandhill cranes are confined to North America except for a subspecies, the lesser sandhill crane, that breeds in Alaska and has jumped the Bering Sea to northeastern Russia. 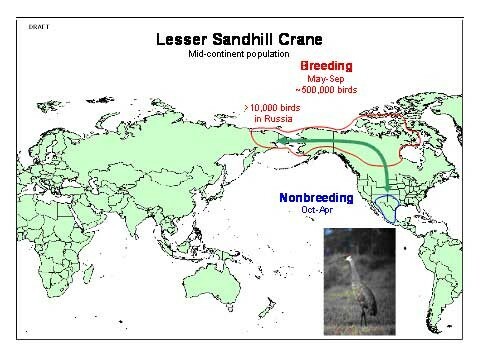 USGS estimates that more than 10,000 lesser sandhill cranes now breed in Russia. The two areas look disjoint on the maps but you never know. Perhaps the “original” crane will meet ours some day. Yesterday five of us traveled north to the Volant Strips in Lawrence County to find a northern shrike and short-eared owls. 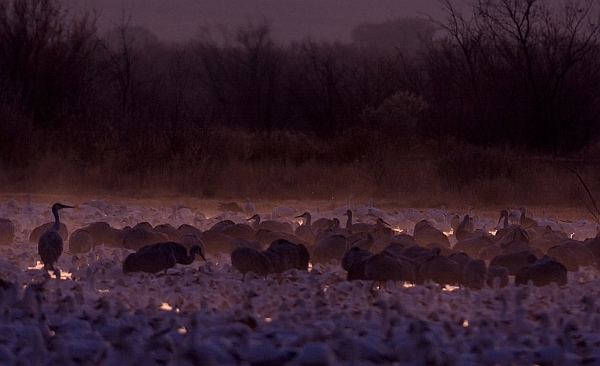 What we hadn’t expected was a huge flock of 112 sandhill cranes! The total rose to 124 when we saw 12 in a later part of our trip. This wintering flock is the largest I’ve ever seen outside of Nebraska. Though this photo could have been taken in Wisconsin it’s actually from Crawford County, Pennsylvania where a few sandhill cranes hang out near Miller’s Pond. 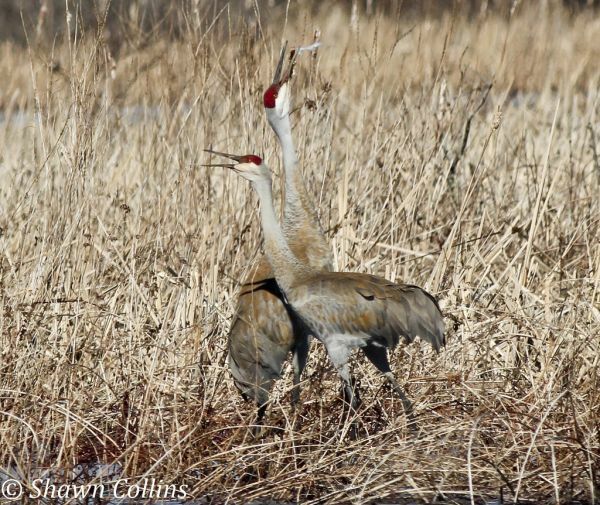 Sandhills breed in northwestern Pennsylvania so right now they’re calling and courting. 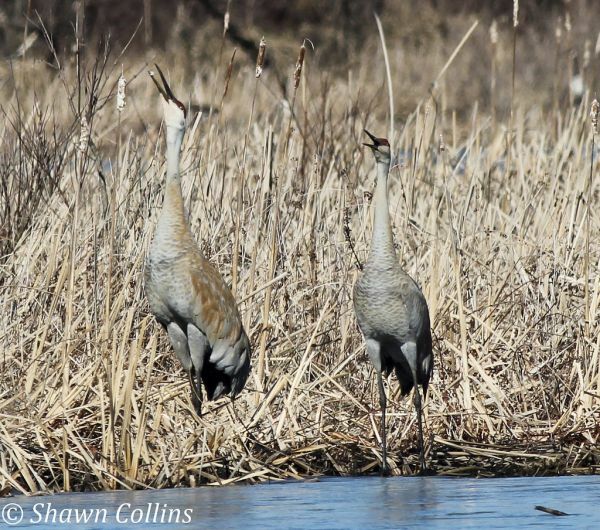 Here’s what a pair of cranes sounds like. Not exactly melodic, but they put a lot of spirit into it. Pennsylvania counts! We have so many sandhill cranes that we’re now part of US Fish and Wildlife’s eastern Fall Crane Survey. Sandhill cranes are much more common out west but the eastern population has grown to 60,000 birds. 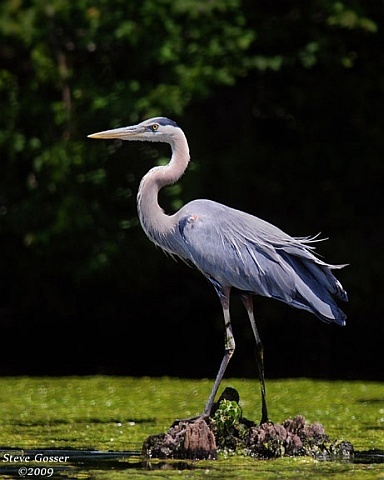 They used to be rare in Pennsylvania where our first crane was noted in the late 1980’s, first breeding was recorded in 1993 in Lawrence County, and the first photograph of a nest was in 2009. Sandhills have now been spotted in more 30 Pennsylvania counties — nearly half the state! This is your opportunity to make history. Put your name, location, count, date and time on record. It’s significant if you visit a likely crane place and don’t find any. Yes, even ZERO counts. How to count and how to submit your data. 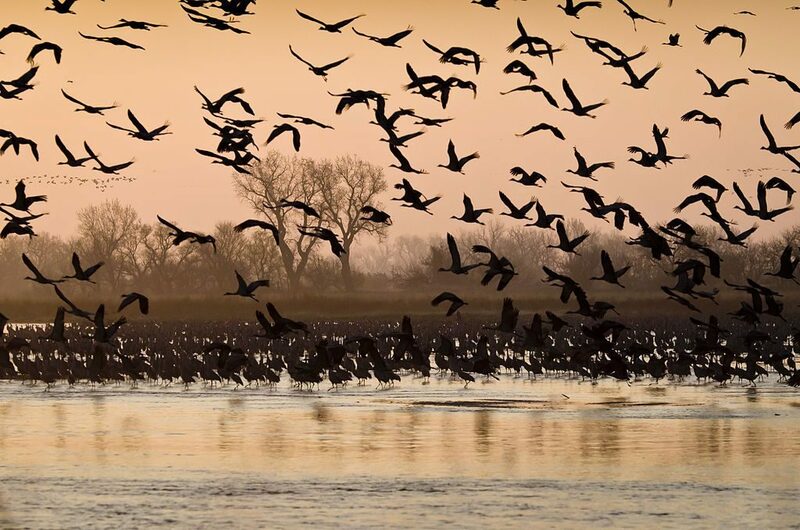 Sandhill cranes and snow geese at Bosque del Apache. A beautiful reason to visit New Mexico in the winter. 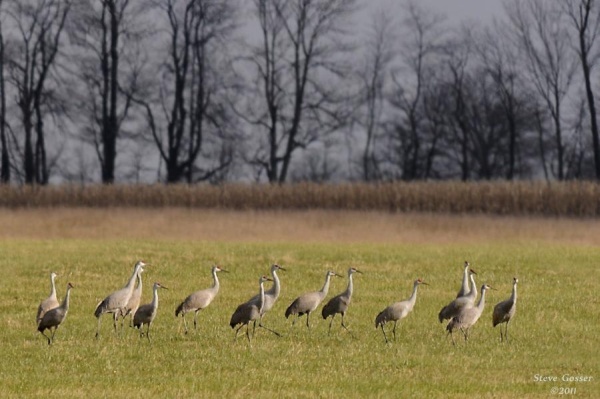 Now that you know how to recognize cranes (see the crane quiz), here’s a Game Commission video about the sandhill crane population in Pennsylvania with some really cute footage of a baby crane being banded. When people see a bird that impresses them they often tell me about it. 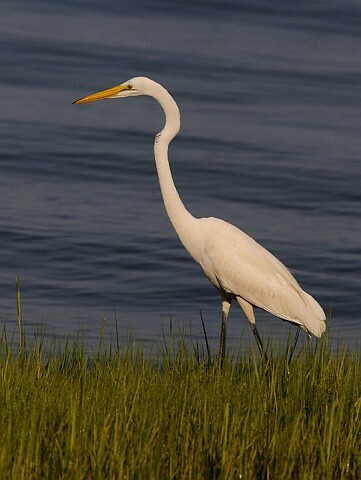 Sometimes they say, “I saw a crane” and I wonder… was it a crane or something else? So I’ve made this conundrum into a quiz. 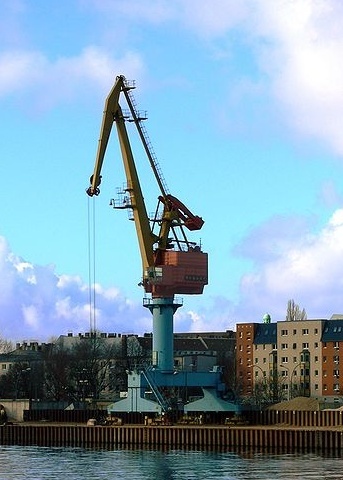 Which of these are cranes? All of them? Some of them? Only one of them? And which one is non-native? p.s. As usual I’ll wait to release comments from moderation so that early responders don’t give away the answer. Ten of the most endangered birds in North America are making their first migration now. Whooping cranes are so rare that there are less than 600 of them on earth: 162 are in captivity, 44 are non-migratory and approximately 278 nest in Wood Buffalo National Park, Canada and migrate to Aransas National Wildlife Refuge (NWR), Texas. The rest spend the summer in Wisconsin and migrate to Florida on a route they learned from ultralite aircraft. Back in 1941 whooping cranes nearly went extinct. In the wild their population had dwindled to only 15 migratory birds (21 total) so scientists and crane lovers began a captive breeding program to bring them back. The Whooping Crane Eastern Partnership (WCEP) works to reintroduce them to their eastern range. 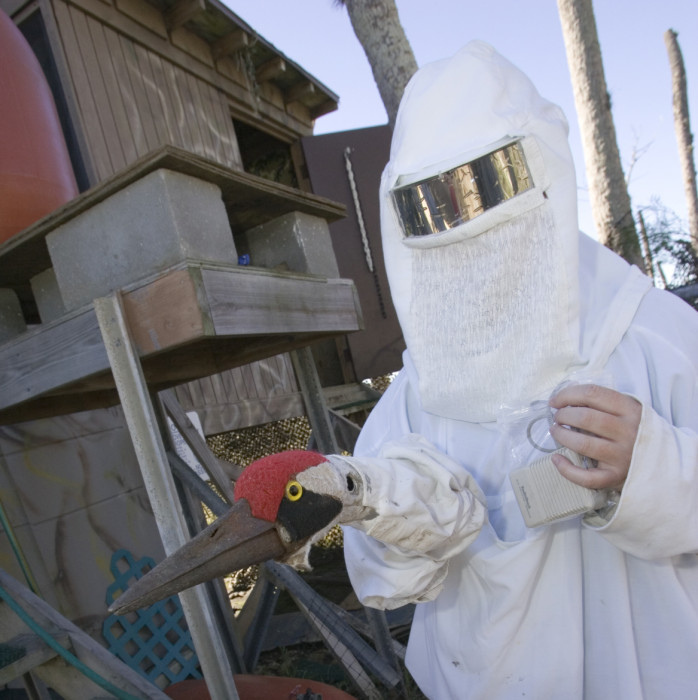 Like many animals, whooping cranes imprint on the creature that raises them from babyhood. In the wild that would be their parents, but in a captive breeding program where adult birds are unavailable humans must dress in crane costumes and use mute gestures so the young birds learn to be cranes. Thankfully the program increased the eastern whooping crane population but the new birds were non-migratory. Since cranes learn to migrate from their parents who would teach them? Enter the ultralite. Ultralite aircraft are like kites with motors, just a little larger than the humans who fly them. The first ever whooper-ultralite migration occurred in Idaho in 1997. Before leading endangered eastern whoopers, pilots Bill Lishman and Joe Duff practiced by leading young Canada geese and sandhill cranes. In 2001 Operation Migration they led the first group of young whoopers from Necedah NWR, Wisconsin to Chassahowitza NWR, Florida. The young cranes memorize the route on their way south and fly back to Wisconsin on their own in the spring. 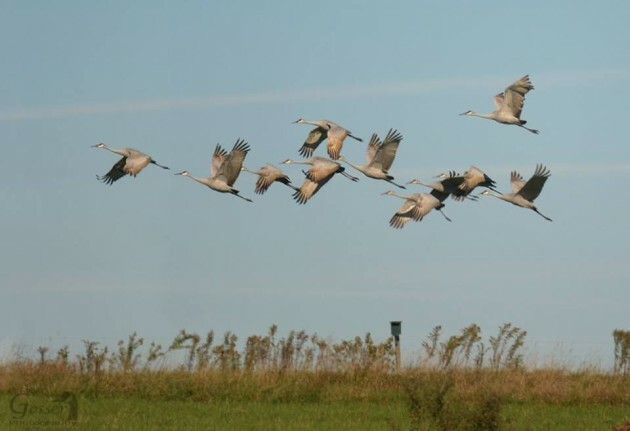 By now there are adult cranes who know the route so WCEP has a Direct Autumn Release project which releases some of each year’s young with the Wisconsin adults so they learn to migrate by following them. The video above from the mid-2000’s tells the whoopers’ migration story. Shortly after this video was made, 17 of the 18 whoopers from the 2006 fall migration were killed by violent storms that hit the wildlife refuge one night in February 2007. The 18th died three months later. Fortunately this was the only tragedy of its kind but it underscores how vulnerable small populations can be. This year’s cohort of 10 young cranes began their journey on October 9 at White River Marsh Wildlife Area, Wisconsin and are headed for St. Marks National Wildlife Reserve, Florida. So far they’ve made little progress because strong gusty winds have kept them grounded for days. This week they were still at stopover #1! Learn more at Journey North’s Whooper page.